I would like to know if it's possible to do ArcMap style clip with QGIS. 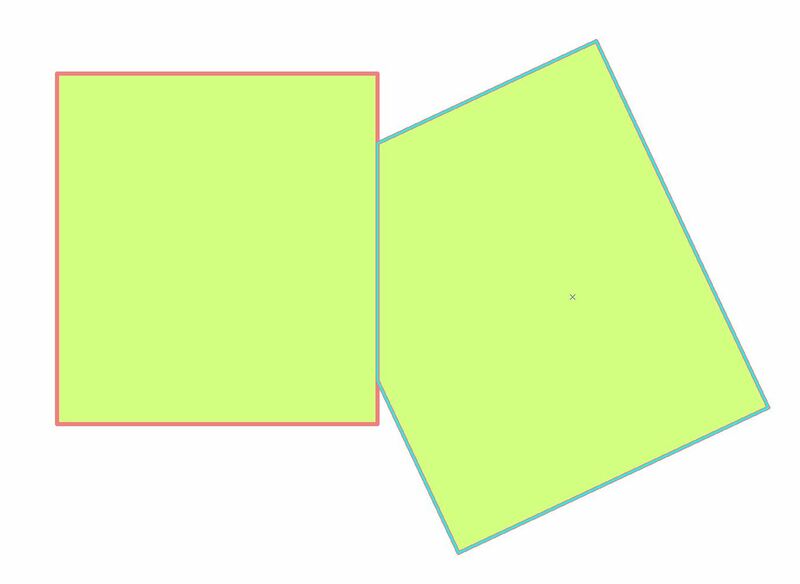 The operation I'd like to do is to clip overlapping polygon(s) in the same layer with the selected polygon. For example: I have 2 polygons which overlap each other on the same layer. 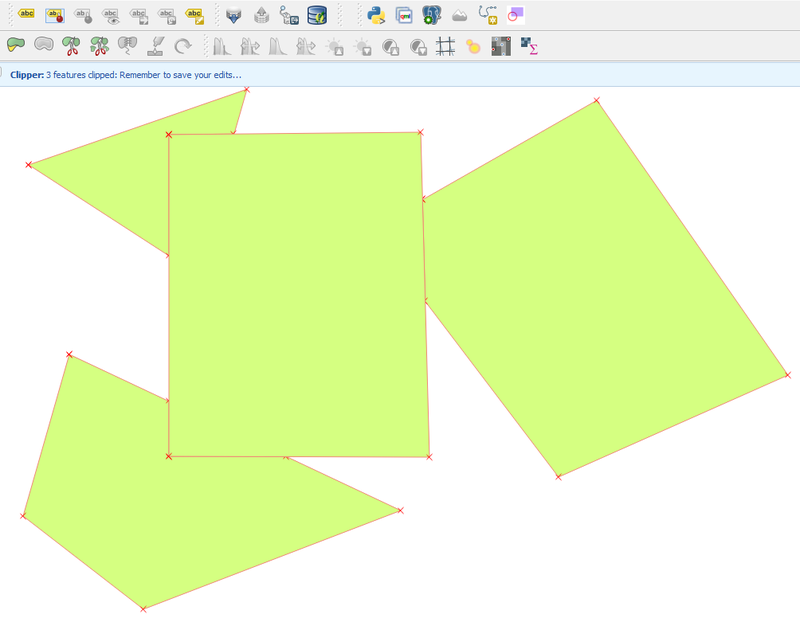 I want to clip all overlapping (unselected) polygons with the polygon I have selected in QGIS, just like in ArcMap. I also don't want the result of the clip to be written in a new shapefile but would like to edit the original shapefile (just like ArcMap). I can't seem to find this function in QGIS. There are many other ways to go around this problem, but is there any plugin etc. 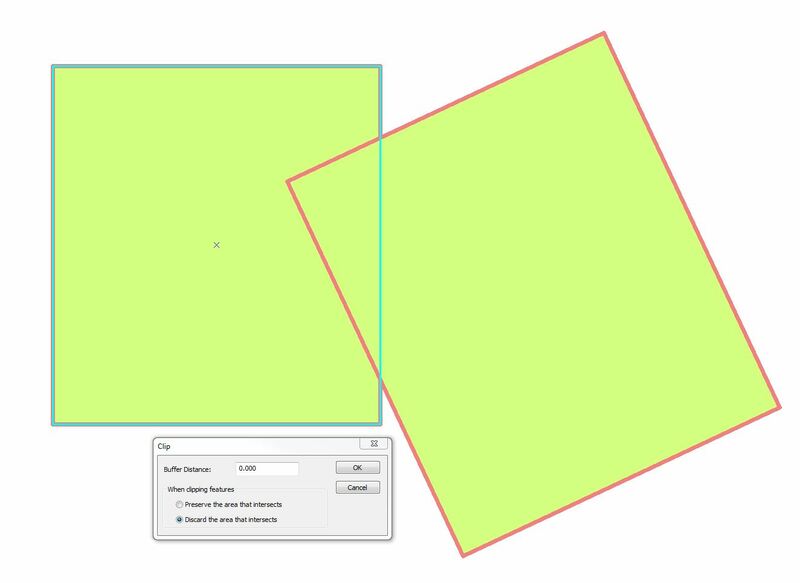 which would be able to perform this task with two clicks--> select polygon --> clip all other polygons with selected polygon? The polygons should be clipped and you also get a helpful reminder to save the edits in your shapefile, no new shapefiles are made. Is Cut Shapes Layer the tool you're looking for?. It will not edit the original shapefile but rather create a new one. Not the answer you're looking for? Browse other questions tagged qgis arcmap clip or ask your own question. 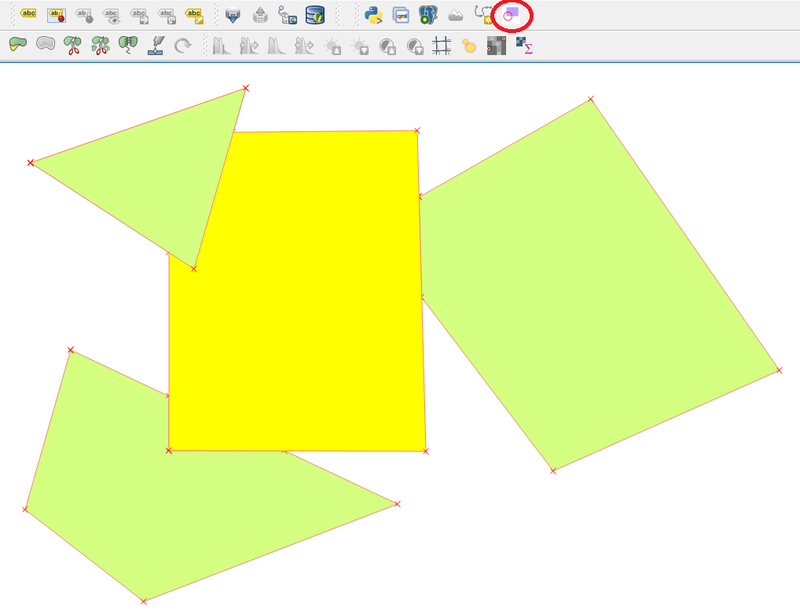 How to eliminate polygon overlap areas in QGIS? How to speed up QGIS vector clip? ArcMap “clip to shape” analogue for basemaps in QGIS?